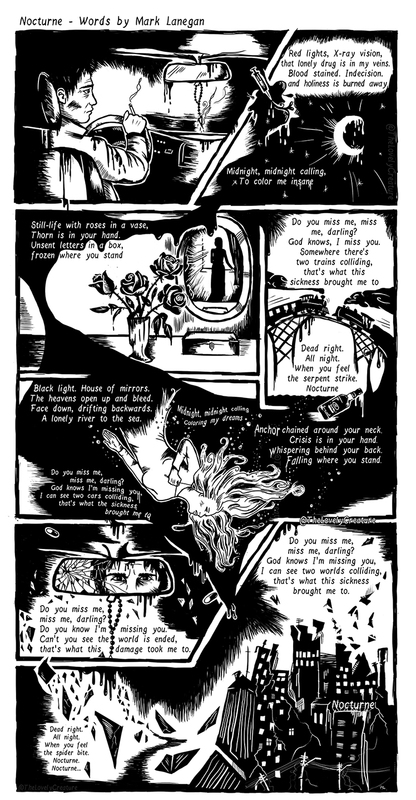 Music is one of my great inspirations in art, and so I started to interpret songs in the style of comics. A project that i keep returning to and want to do more of. I mostly draw these digitally as I can get more into the little details, but now and then I’ll draw some the old fashioned way.